Israeli occupation authorities yesterday, issued a confiscation order against 8,242 dunums (2,036 acres) of Az-Zawiya village’s lands in the Salfit district of the West Bank for alleged military purposes, Alghad TV reported. The land is located in the west part of the village where illegal Israeli settlements are built on Palestinian land, including outposts that are not unauthorised by the Israeli authorities. The military order gave land owners seven days to appeal through the so-called Israeli Civil Administration. Last July, Israeli authorities issued a confiscation order against at least 140 dunums (34 acres) of land from Az-Zawiya declaring it “state land” for the purpose of building a Jewish cemetery that serves the illegal Israeli settlements in the area. 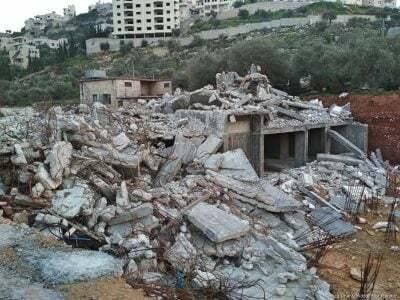 Israeli occupation forces regularly issue demolition and confiscation orders to Palestinians in the occupied West Bank, in particular in the areas surrounding illegal settlements. Issued under the pretext that the land is to be used for “military purposes”, it is often later used for the expansion of settlements. The Palestinian Bedouin village of Khan Al-Ahmar is currently under threat of demolition, with occupation setting a deadline of 1 October. The approximately 180 residents are being forced out of homes they have lived in since their displacement by the Israeli army in 1967. The demolition would make way the E1 settlement project, linking Jerusalem to the illegal Maale Adumim settlement. Settlement construction has increased since US President Donald Trump came to power in 2017. Trump has repeatedly backed Israel’s policies, recently moving the US embassy from Tel Aviv to Jerusalem after declaring the holy city the undivided capital of Israel, in contravention of international law. Featured image is from MEMO.